Congratulations are in order for one lucky blogger…but you have to read the WHOLE post to find out who it is (or you can scroll to the bottom of this post, but we like the suspense). We have to admit, this challenge was hard to judge! We sent all of our bloggers 5 random ingredients and tasked them with creating an original recipe using at least 2 of the 5 ingredients. Some challengers received dried mushrooms, some received coconut sugar, some received smoked sea salt, just to name a few. If you think it sounds a little crazy, it was. We like to make things fun around here. After salivating over all of the submissions, we finally chose our top recipe. We have crowned Curious Appetite’s Wildy Stuffed Squash Recipe as the challenge champ! 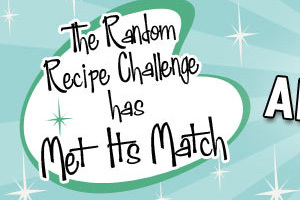 We thought Curious Appetite did a fantastic job using the random ingredients we sent her to create a recipe that has a great balance of texture and flavor. She created a harmonious and cohesive dish and if you think it looks good, give her some love on her blog. Congratulations Curious Appetite! Thanks again to everyone for participating. Congratulations! That squash looks fabulous! I never thought I’d get so excited about stuffed squash, but wow. Good stuff all around. Thanks for putting this together and letting me play! Congrats to Curious Appetite on the great win!